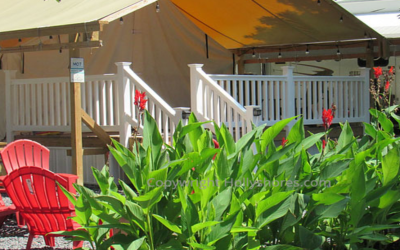 Our 38 wooded acre camping resort is nestled in Cape May County just four miles from Wildwood and Cape May beaches. We offer 300 large, oak and maple tree shaded, full hook-up campsites and 40+ Deluxe Rentals, Safari Glamping Tents and Tiny Houses. 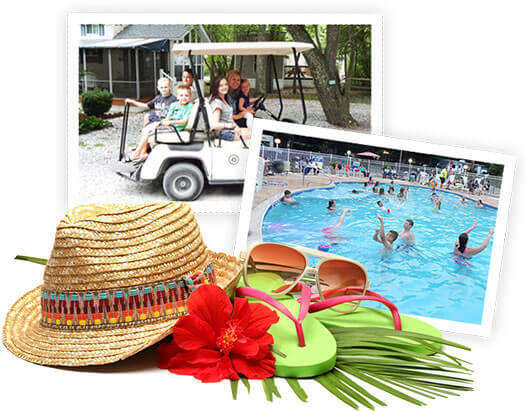 Loads of amenities including free WiFi, Cable, two playgrounds, lush dog park, heated pool, kiddie pool, two hot tub spas, golf cart rentals, bike and kayak rentals, game room, and nature trail to the adjacent fishing lakes run by New Jersey Dept of Fishery. We also welcome group camping; family reunions and scout troops. 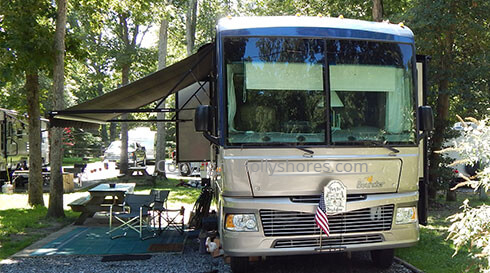 We have over 300 large oak and maple tree-shaded, stoned RV campsites and offer daily, weekly and seasonal rentals. 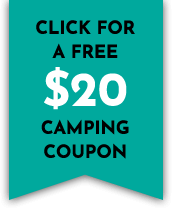 Our campsites will accommodate RVs up to 40 feet and each comes with free WiFi, 20/30/50 amp electric service, water, sewer, cable TV, fire ring and picnic table. Ask about Seasonal Rates too! 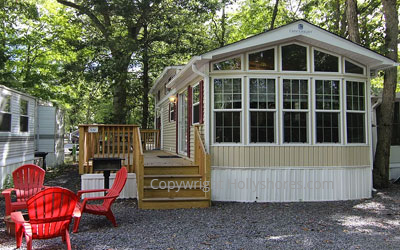 Holly Shores is a fully self-contained camping resort. 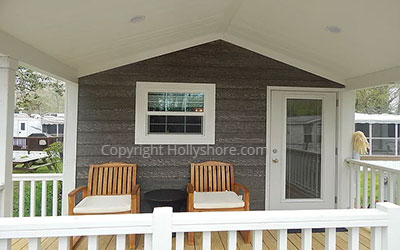 In 2017, SJ Magazine recognized Holly Shores for "Best Camping on the Cushy Side". 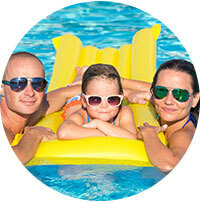 Amenities at Holly Shores include a heated pool, a kiddie pool, two hot tubs, two playgrounds for the kids, a nature path to the adjacent fishing lakes, bike, kayak, golf cart and equipment rentals, volleyball, shuffleboard, basketball, a game room with air hockey, pool, pin ball and other arcade games, laundromat, bath houses, and a fully stocked Camp Store. State of the art park-wide free WiFi service for our guests. For Fido to stretch his legs and make new friends. 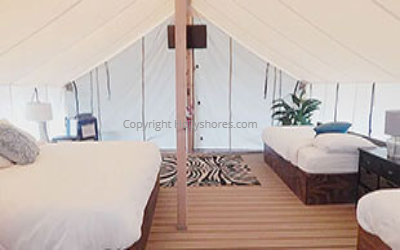 To ensure the exclusive use for our campground guests. Food and snacks, ice, firewood, charcoal and BBQ supplies, RV supplies, suveniers, toys and games, apparel, personal essentials -- we've got it all. Sea salt chlorination is gentle on the eyes, and the pool's scenic waterfall is a perfect backdrop to catch some rays. There's also a separate 18" kiddie pool for the youngsters. Rent bikes, kayaks, golf carts and game equipment. Enjoy our 10.9 mile bike path from historic Cold Spring Village to the Cape May Zoo or Zip-line village.